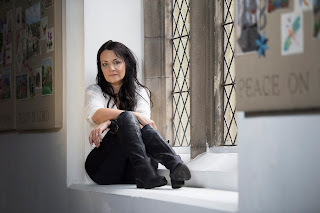 Joanna Cannon graduated from Leicester Medical School and was working in psychiatry when she began writing in her spare time. Her debut novel, The Trouble with Goats and Sheep, spent sixteen weeks as a Sunday Times Bestseller and is now published in fifteen languages. She has been interviewed by BBC News 24, BBC Radio 4 and BBC Radio 5, The Times, The Observer, and The Sunday Times, and has written for The Guardian, Good Housekeeping magazine and The Sunday Telegraph, amongst others. She continues to work in psychiatry, in a voluntary capacity, with Arts for Health, who give the opportunity for service users and their carers to engage with the arts, both on the wards and in the community. Hello, Jo, welcome to WWJ. 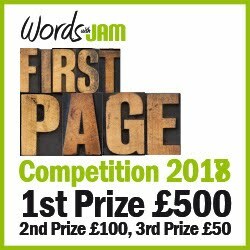 Tell us a little about yourself and your writing? 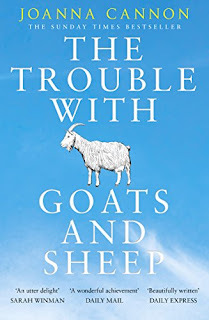 Your debut novel released last year The Trouble with Goats & Sheep has become a bestseller. Can you sum it up in a single paragraph? Goats and Sheep is set on a very ordinary housing estate in England, during the long, hot summer of 1976. It’s about two little girls, called Grace and Tilly, who wake up one morning during that summer, to find one of their neighbours, Mrs Creasy, has mysteriously vanished. They decide to spend their school holiday trying to figure out where Mrs Creasy might have disappeared to, and why. There’s a mystery running through the story, but it’s really about community and prejudice, and how unbelonging is actually a belonging all of its own. You’ve said that daily life during your work for the NHS inspired a novel and led to your writing career – can you explain that in more detail? On a practical level, I started writing as a kind of therapy, to help me deal with the stress (and distress) of working on the medical and surgical wards. The story itself, however, was inspired by my time in psychiatry. I met a lot of patients who lived on the periphery, who were often ignored or humiliated, purely because of the way they chose to live their lives. I wanted to write a story about how it must feel to be subjected to that kind of prejudice, and how we all have our own quirks and secrets, it’s just that some of us are better at hiding them than others. If you scratch the surface of most sheep, you will find yourself with a goat. You were lucky enough to be part of a mentoring programme, Womentoring, early in your career – how did that help and are you now a fan of mentoring? Mentoring is a wonderful initiative. As well as guidance and practical advice, it’s so important to have a sense of not being alone. Writing is incredibly isolating, and therefore plagued with self-doubt, and anything which balances that out is truly valuable. If you could choose your own perfect writing mentor – who would it be and why? I’d have to say Alan Bennett. Although I’m not entirely convinced he’d be up for it! I watched Talking Heads as a child, and it was the first time I truly appreciated the power of words. I think he’s an absolute genius. I read and loved The Trouble with Goats & Sheep (see link to my Bookmuse review below) – what was your inspiration for the novel? As well as working in psychiatry, the story was also inspired by the case of Chris Jefferies, the Bristol landlord, who was taken in for questioning over the murder of Jo Yeates. Chris Jefferies was also an outsider, someone who chose to live his life a certain way, and when his photograph was plastered all over the newspapers, everyone (including me) said, ‘he definitely did it, he looks just the type’. But, of course, it turned out that he didn’t. It really made me take a step back and question my own inclination to judge, and the strange criteria we all use to decide if someone fits in, or if they don’t. The novel is very nostalgic with superbly detailed observations. Why did you choose that particular period – 1970s – to set your novel? What three books would you have to take with you to your Desert Island? Gosh, that’s a difficult one. I think it would be Three Men in a Boat (because I think it’s the funniest book ever written). I’d also have to take a collection of my favourite poetry, because when you are feeling alone or anxious, there is nothing more uplifting than poetry. I think my third book would have to be Rachel Joyce. I can’t think of a better desert island companion than Harold Fry. Which author do you most admire? I have huge admiration for anyone who finishes writing a novel. It’s a massive achievement, whether you go on to be published or not, and it deserves a huge round of applause. As far as published authors go, I am in awe of people like Nathan Filer and John Boyne. Writers whose stories, somewhere between the first page and the last, change their readers mind about something. I can’t imagine anything more incredible. Can you tell us anything about your second novel? Three Things About Elsie is the story of Florence and Elsie, who are lifelong friends, and who now live at Cherry Tree Residential Home for the Elderly. The book opens with Florence, who has fallen and is lying on a wipe clean carpet in her flat, waiting to be rescued. We learn that Florence has a secret – a secret she promised she would keep forever – only Florence is worried her forever is now. It’s a story about growing old and the power of small acts of kindness, and it’s about how the echo we leave in the world might be louder than we think. Liam is a world citizen of German-French-Italian origin. He is passionate about living authentically and learning from meaningful encounters with people from all over the world. 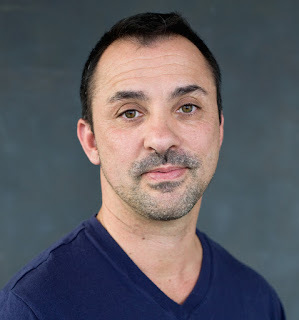 So far, Liam has lived on four continents and worked as a photographer, visual services artist, movie theatre manager, scuba instructor, hyperbaric chamber operator, show diver, underwater theatre coach, and production manager. Liam's first book and memoir Paralian was published in 2016. He currently lives in Zurich, Switzerland. The work of German author Karl May. Mrs. Mohatt, my Advanced Art teacher in the US. Quite far. Mostly by films. I've loved cinema for as long as I can remember. And even at home I constantly watch DVDs. I love the cinematographic art of storytelling. Haha, yes I do. I believe I say "I love this" way too often. There are so many. J.K. Rowling is a great inspiration and one of my favourites. Jefferson Bass is another favourite, and Sten Nadolny, and Garth Stein, etc. The list is endless. I read constantly. Always have. Everything from adventure stories, to thrillers, to graphic novels, to classical literature, to popular science. It's a passion. I truly love it. With my first book Paralian it was also a life's dream. I felt this book needed to be written. I had to face so many challenges during the first 45 years of my life. I wanted to commit these experiences to paper to share them with my readers; to maybe help some, infuse them with my love for life, add to the human experience, share laughter, tears, be authentic and put myself out there just as I am. Now I need to continue writing, because I am hooked and letting the words flow onto paper feels like the best way to express myself. I've found my medium. Almost anything. I love to laugh. A good sense of humour is the elixir of life. Especially being able to laugh about ourselves. Meg, by Steve Alten. I have to admit I've read it about ten times so far. And I still love it. How has writing a memoir affected your sense of identity? I have become more self-assured... and more forgiving - towards others as well as towards myself. David Vann's Aquarium has touched me deeply. I am working on a book with short-stories about the animal companions I've been privileged to have throughout my life, and the life lessons they gave me. It's going to be a profoundly honest book again. Fun as well. A book about amazing souls... and the ways they touch us, leaving us forever changed. What’s the best way to start the weekend? Sleeping in as long as possible. Then, going to the bakery with my soul mate. Right after, we'll enjoy a lengthy brunch together at home. This includes a steaming hot Amarula coffee (yum!). After breakfast I'll be off for some 'me time' on the couch with a good book. Are you up for a reading sprint? The Baileys Prize shortlist is out, and what an eclectic bunch! 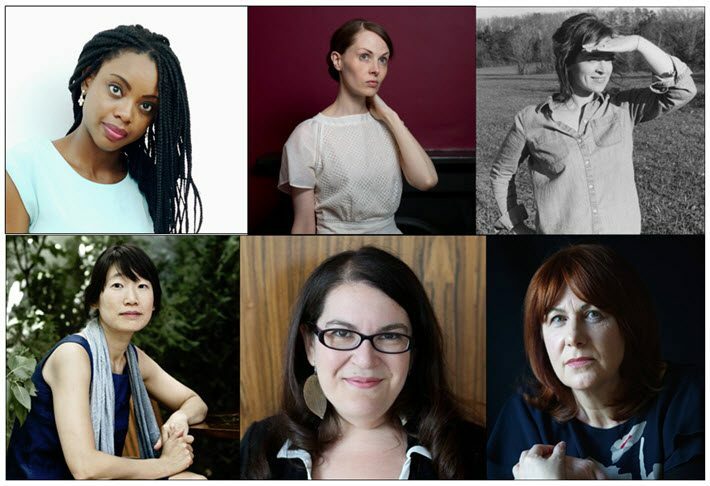 Six diverse and fascinating takes on the world as it is and was, from some of our finest contemporary women writers. Check out the shortlist for the Women's Prize for Fiction here. 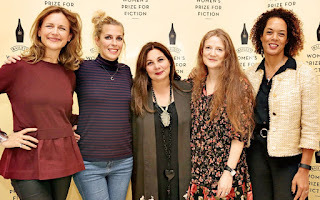 The judging panel is composed this year of Sam Baker, Katie Derham, Aminatta Forna, and Sara Pascoe and chaired by the CEO of House Productions, Tessa Ross. Listen to Aminatta Forna discuss the panel's choices and why the prize is valid on Radio 4's Front Row (starts at 1.30). 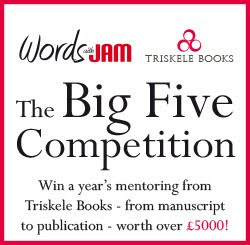 We're big fans of the prize and set ourselves the challenge of reading and reviewing them all before the prize announcement on June 7. We'll be reading and reviewing the six books for Bookmuse and we'd love to hear your thoughts. And the night before the winner is announced, we'll be joining Triskele Books for a Twitter chat on these novels, what we loved, what we didn't and our bets on the favourite.